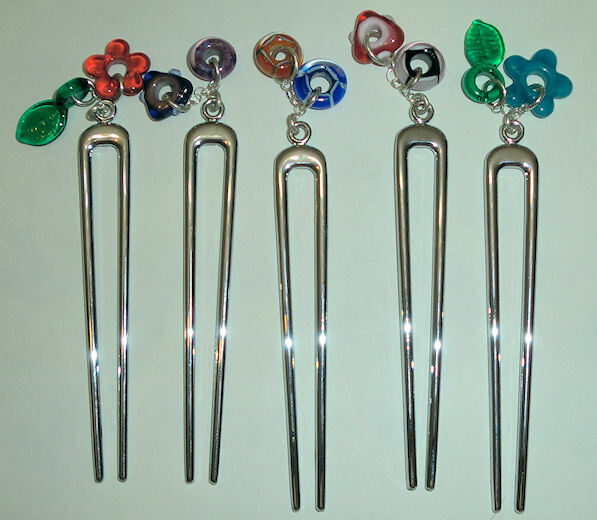 Some customers have asked for metal hair sticks. I totally forgot that I bought some this year. I found them when I was packing my stuff up for the craft show. I made the beads last night and assembled them this morning. They are really easy to put together. These would also work out well for sweater or lacy scarf holders too.